Petsmart has donated 30 million meals to dogs and cats in need via a program the pet retailer created in conjunction with its 30th anniversary. During the “Buy A Bag, Give A Meal” promotion, the company will donate a meal for every bag of dog or cat food purchased (any brand, any size) in stores and online through 2017. A meal is 5 ounces of dog food or 1.5 ounces of cat food, based on the daily requirements for a typical adult 40-pound dog or 10-pound cat. The retailer created a TV spot (with both 60-second and 30-second versions) to promote the initiative. PetSmart Charities is distributing the meal donations to pet shelters, food banks, animal welfare organizations or other similar organizations based on the needs of these recipients. The program began March 1 and runs through Dec. 31. The retailer is teaming up with GreaterGood.org's Rescue Bank program and Feeding America, two national nonprofit organizations, to help deliver the bulk of the meals. 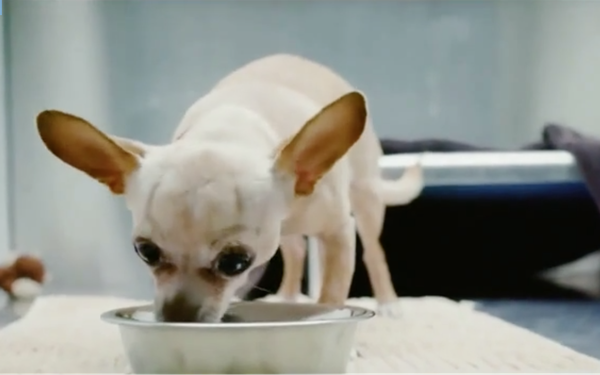 American Nutrition, a custom manufacturer that produces pet food and treats for branded companies and retailers, is manufacturing the donated pet food. The retailer aims to donate 60 million meals or more. That goal is based on past sales for a similar time period. The allocation of food donations to beneficiary organizations will be based on PetSmart Charities’ evaluation of the needs among potential recipients, the ability of potential recipients to receive, handle and distribute the food donations, and where the donated meals can be most effectively delivered. It is anticipated that the allocation of food donations will be approximately 50% for dogs and 50% for cats. However, the exact allocation of meals between dogs and cats may be impacted by availability and a PetSmart Charities’ review process. It is anticipated that each qualifying purchase in the U.S. will generate a meal donation to PetSmart Charities, Inc. (U.S.), and each qualifying purchase in Canada will generate a meal donation to PetSmart Charities of Canada. Each charity will distribute the donated meals to organizations within its respective country. Up to 7 million pets enter shelters each year, but not all pets in need live in shelters—some live with pet parents who rely on food banks.